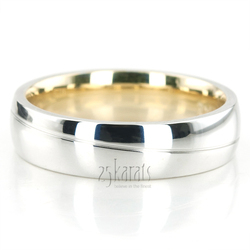 Trendy and out of ordinary newly designed wedding band set. 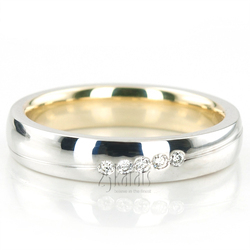 Two tone dome comfort fit band diamond carved shinny line is symbolizing the infinite journey two people starts together while second band set with 0.05 ct. total weight bright cut diamonds are symbolizing the divine light shinning on their journey. Band are build with yellow gold inside and white gold on top, but also can be build other combinations, simply let us know what combination is your pick. 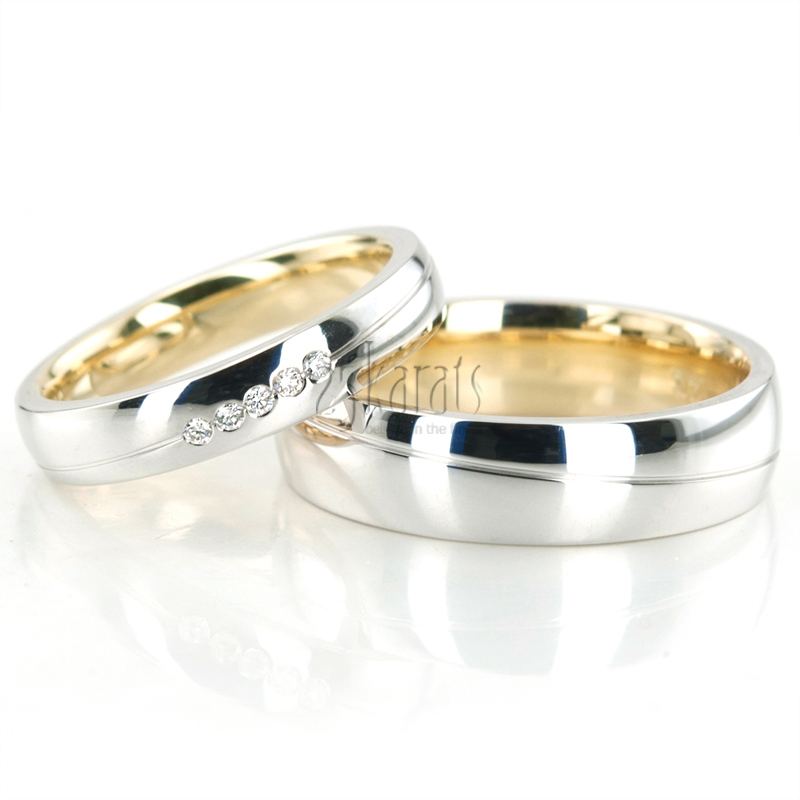 Diamond size 1: 5 pieces x 1.3mm Round cut with Burnish Set - G/H Color - SI1 Clarity - 0.05 ct.tw.